The lush, broadleaf evergreen grows quickly to four to five feet with a three to four-foot spread, but gets much taller in warmer, tropical areas. The variety ‘Gold Star’ blooms the earliest of all Tecoma species and continues to flower prolifically throughout the summer and early fall. 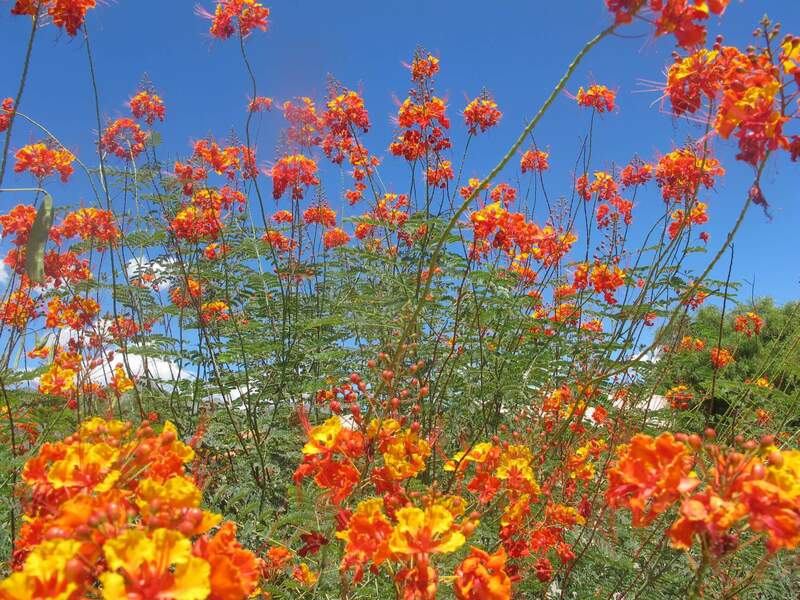 It produces large clusters of brilliant yellow, trumpet-shaped blossoms that attract hummingbirds and butterflies. In late summer, its brownish-tan seedpods appear and remain on the plant for a long time. 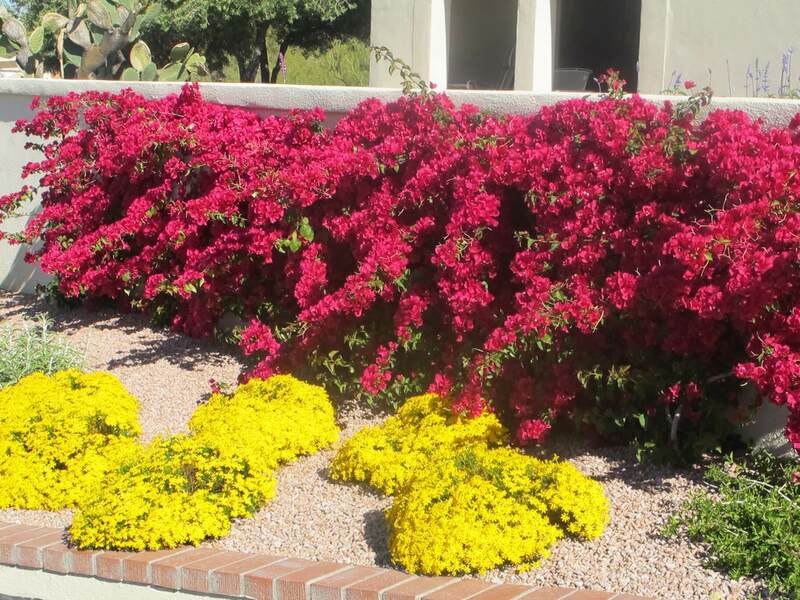 Use it in masses or as a tropical color plant around pools, ponds, and water features, and in containers, courtyards, patios, and landscapes for summer color and accent. 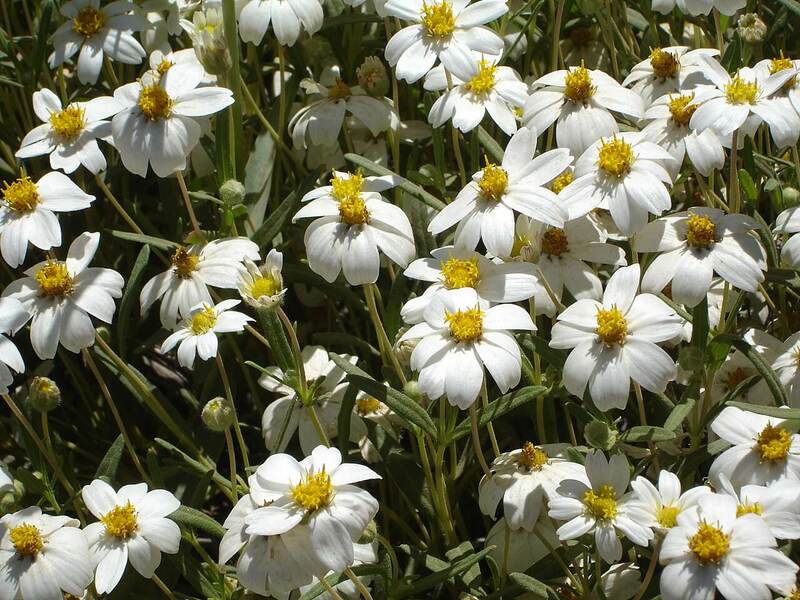 The variety ‘Gold Star’ was hybridized at Texas A & M University, and many more selections and hybrids of this plant exist. It is hardy to about twenty degrees Fahrenheit. If frost-damaged, prune it back frozen growth in early spring. The yellow bell will grow in a wide variety of soils with good drainage. This plant likes an application of ammonium phosphate fertilizer in the spring. This will help promote blooms and lush foliage. 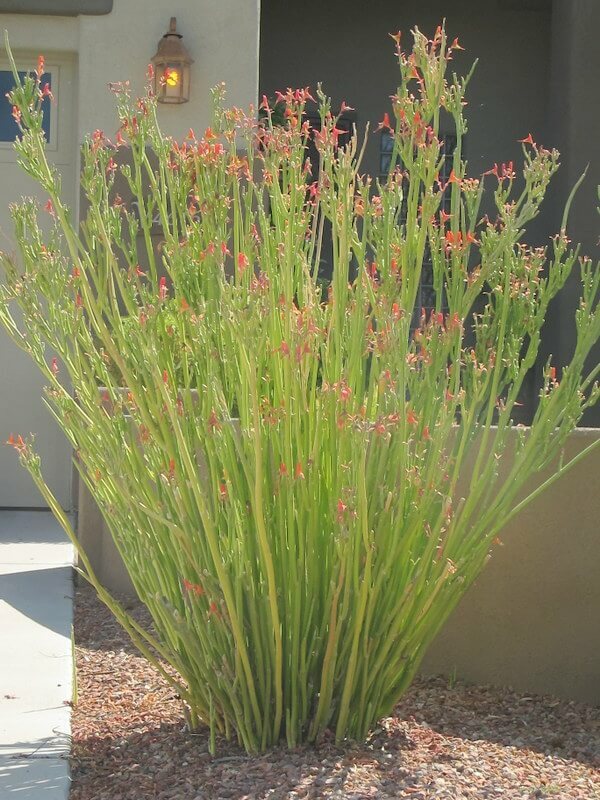 It is drought-resistant when established, but needs supplemental irrigation during our hot, dry summers. The yellow bell also likes full sun and reflected heat. 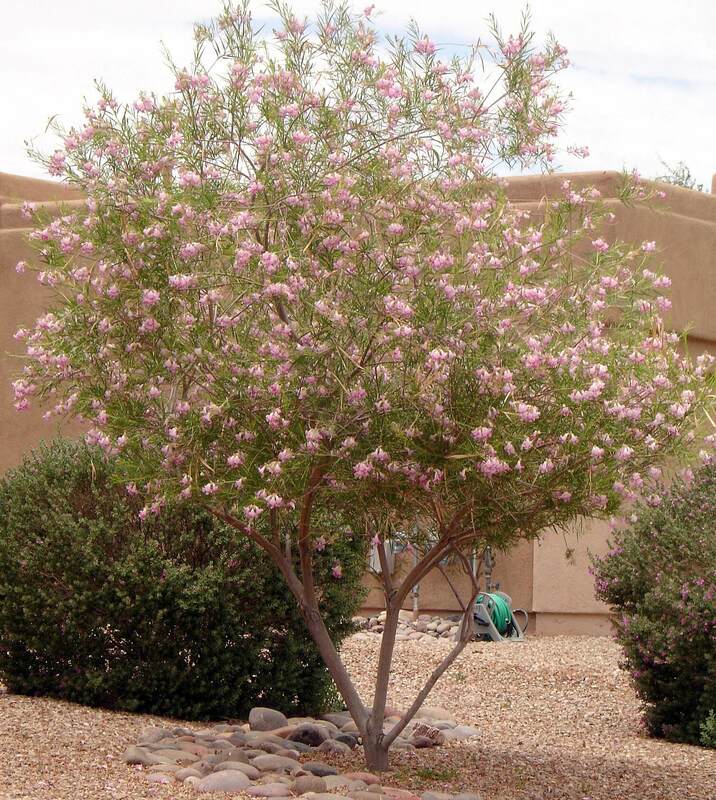 Sometimes after the summer monsoon, foliage can fall, and carpenter ants attack the plant. 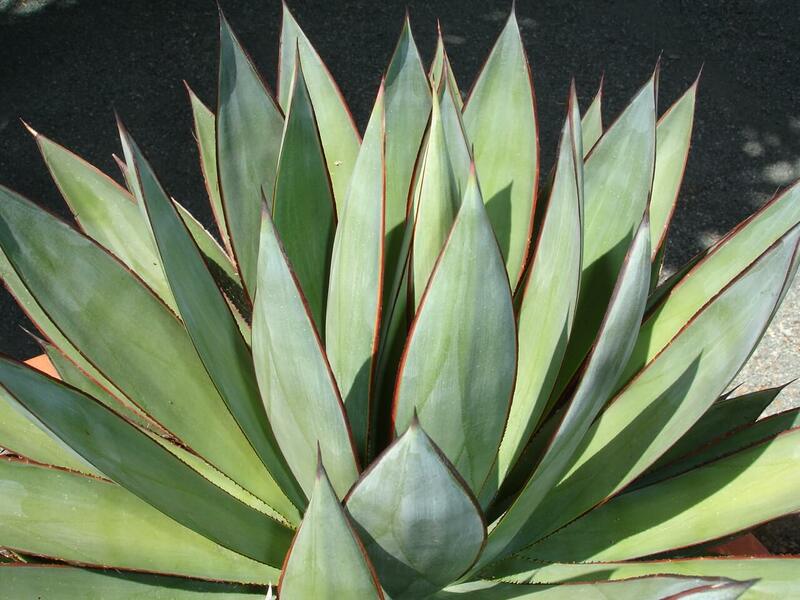 To control insects, treat it with a systemic insecticide around the base of the plant.